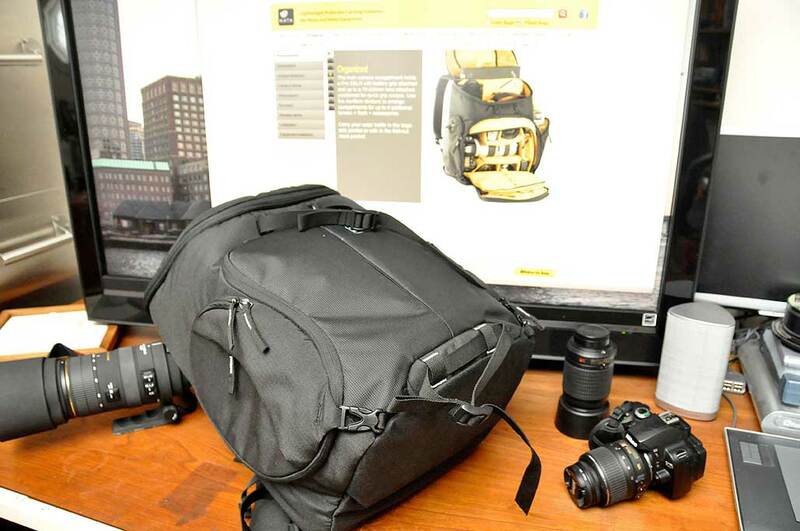 Six years ago we did a FirstLook/FirstUse write-up of the Kata R102 backpack. The bag was one of the best camera backpacks we have used, as it can hold quite a bit of gear without making us feel like a pack mule. The one feature we wish it had was the ability to access the camera from the side like a sling pack. Clearly, we were not the only ones with that desire because when Kata designed the Owl 272-DL, they made a host of improvements to the basic camera backpack,including the addition of a side access port. However, we are jumping the review gun here. The Kata Owl is part of a revamped line of camera bags. We gave a preview of them at the end of 2010 in the Holiday Gift Guide (found on the iPad Apps section of iTunes). This Winter, we’ll be taking a closer look at each one in turn. First up is the Owl. 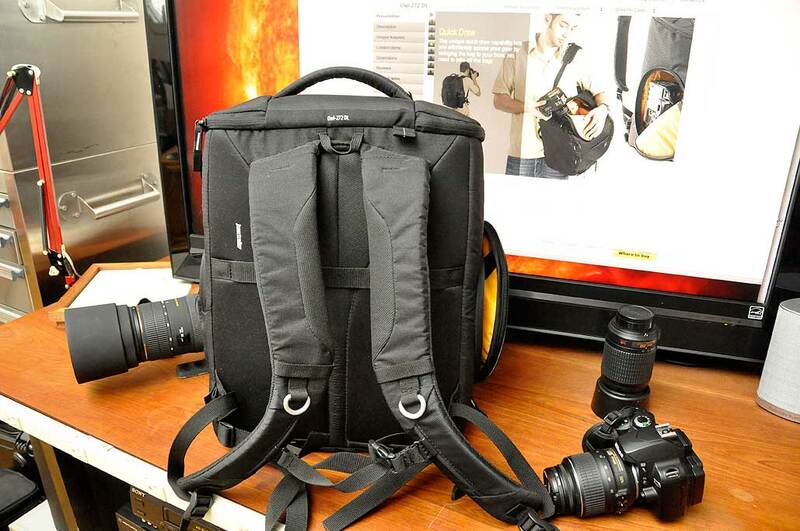 The Owl-272 DL is a lightweight backpack designed to carry camera gear. However, unlike most camera backpacks, the Owl also has plenty of room for everyday personal effects (laptop, water bottle, etc…). The Owl can also be converted into a daypack when not using or carrying a camera. Try that with your current camera bag! The key to the Owl’s accessibility is the abundance of zippered openings (left, top, right). The left side opening gives the photographer direct access to the core of the bag without having to open the main front flap. The right side opening is an accessories pocket and is large enough to handle a water bottle. The key to its versatility is the generously-sized compartments and removable separators. A laptop can be slidden in from the top and stowed safely in the padded slot. The main camera compartment is large enough to hold a Pro DSLR with battery grip and up to a 70-200mm zoom lens attached. The camera may be positioned for quick access from the left. The adjustable Aeriform dividers may be configured to handle up to 6 additional lenses, a flash, and other accessories. The closer we look at this Kata Owl, the more impressed we are at the details. Some of the examples are the fold out mesh water bottle holder, lens pillow stabilizer, tripod straps, adjustable sternum straps, and the ability to attach the bag to the Kata Insertrolley for added mobility. For photographers interested in a roomy camera bag and quick access to their camera, the Kata Owl 272-DL will fit the bill perfectly. For travellers who may not pack a lot of photo gear but want their camera bag to do double-duty as a daypack, the Kata Owl 272-DL is the bag of their dreams.